Allow yourself a little luxury, a luxury thats within reach and not as expensive as you think, you wont regret it, you'll be glad you did! Don’t wait any longer for a beautiful smile! You’ll get amazing results with our crowns and bridges restorations! Our ultimate goal is to restore your smile to a state of function, health and beauty. Tusk Dental has a reputation for providing the most professional and cost-effective orthodontic treatment in the auckland area. Whether you require a routine filling or are experiencing pain from tooth decay we can provide quality care at affordable prices. We believe that our smiles are our best assets. We can improve any patient’s smile with various cosmetic dentistry services. Tusk Dental can perform wisdom tooth or normal tooth extractions in the gentlest of manners and we are readily available for emergencies. Tusk Dental is a leading dental care practice serving the greater Auckland area conveniently located at 14b Hastings Road, Mairangi Bay, on the North Shore. We are committed to providing the highest level of quality care for you and your family in a positive and relaxed atmosphere. Here at Tusk Dental we take a holistic approach when caring for your dental health. We are highly experienced in all aspects of dentistry, with an emphasis on diagnosis, prevention, surgery, cosmetics and restorative techniques. Our progressive dental facility is equipped with the very latest in dental technology, enabling us to provide you and your family with the best possible care. We can perform general and cosmetic dentistry to orthodontics and oral surgery. 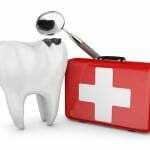 We understand that toothaches and oral pain can be unbearable, so are always available for dental emergencies. We will treat you and your loved ones to an exceptional dental experience from your very first phone contact. We are dedicated to working in collaboration with you for care that is personalised and exceeds your expectations. I’ve been to Tusk Dental twice now. I found Dr Cole to be very nice and professional. I felt at ease when I walked in, his staff are very generous and his place of work is immaculate and clean. I am definitely getting all my future treatment done by him. Patient First Attitude! Dr. Cole is an excellent dentist whose main priority is making sure his patients are comfortable and get the best dentistry he can offer. I would fully recommend Dr. Cole to anyone who needs a dentist! Ronni is an excellent dentist. He is exact in his work and professional. He and Janel are welcoming and friendly. I highly recommend Tusk Dental. Copyright Tusk Dental 2015 - All Rights Reserved.